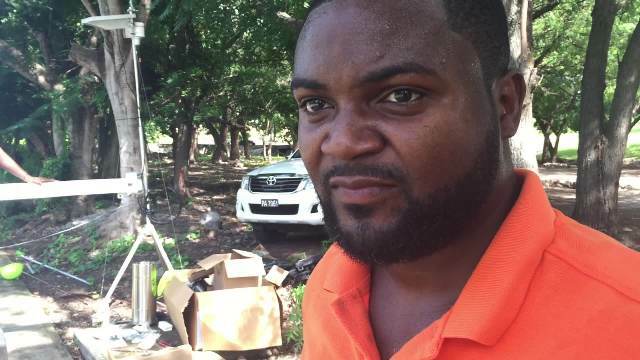 NIA CHARLESTOWN NEVIS (NOVEMBER 20, 2015) — Installation of a water level and rain gauge early warning system in areas predisposed to flooding on Nevis began earlier this week. The United States Agency for International Development (USAID)-funded project will also see the installation of two rain gauge systems on the island. The project is being undertaken through the Organisation of Eastern Caribbean States (OECS) which has contracted the Caribbean Institute of Meteorology and Hydrology (CIMH) for the implementation. Installation of the first water level radar station and rain gauge system at Bath Stream began on on November 18, 2015. The second set will be installed at Nisbet Plantation. In addition, rain gauge systems will be installed at Stoney Grove and Morgan Estate. 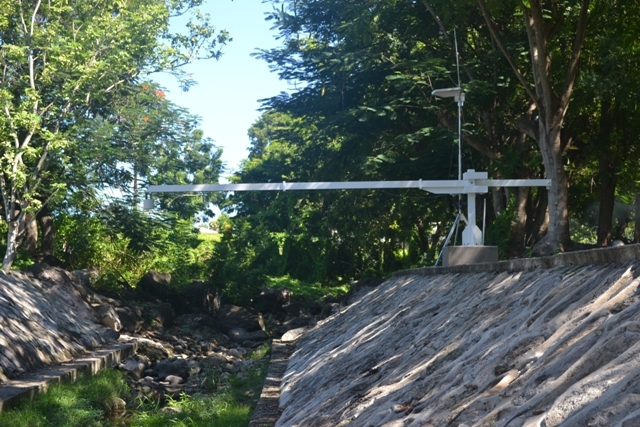 According to Technical Officer at the CIMH Damian Prescott, the functions of the water level radar stations are to check the height of the water and the speed of its flow to provide downstream flood warning alerts for those in the catchment area below the site. However, he said the rain gauge systems would give early indications of the water levels that should be expected at the radar water level sites in Bath and at Nisbet. The two rain gauge systems installed at Stoney Grove and Morgan Estate will be used for data collection on the amount of rainfall on the island. The information will be used by the Meteorological Office and the Nevis Water Department for greater accuracy in weather forecasting. The project also makes provisions for training staff of the Nevis Disaster Management Department and the Meteorological Office and Nevis Water Department. Training is expected to commence in January 2016 on maintenance and management of the system’s equipment and software.